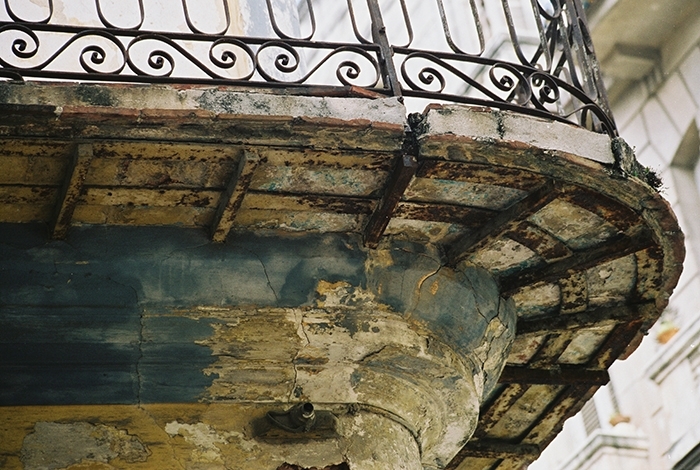 Balcony in CUBA was taken in the old square of Plaza Vieja where the musicians gather on the weekend to play and celebrate. 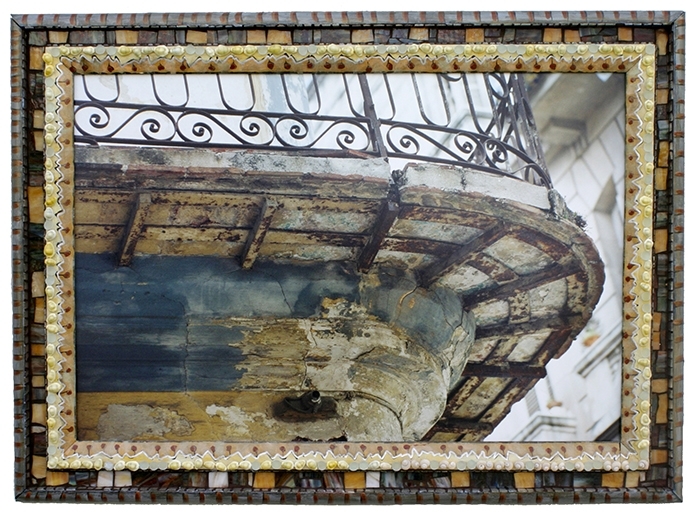 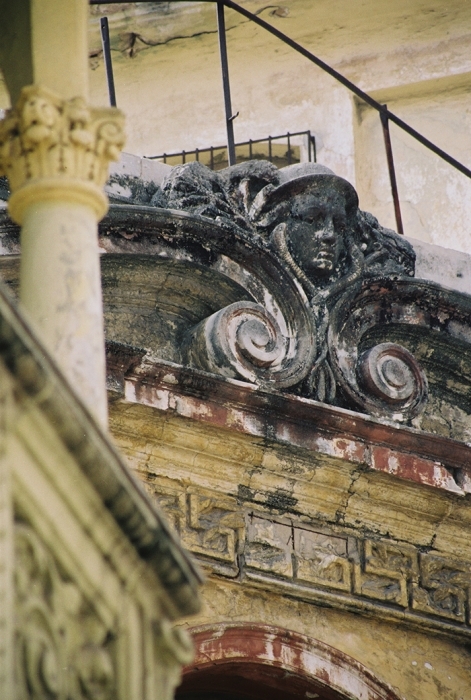 I love the old weathered worn exteriors of Cuba from 2003. 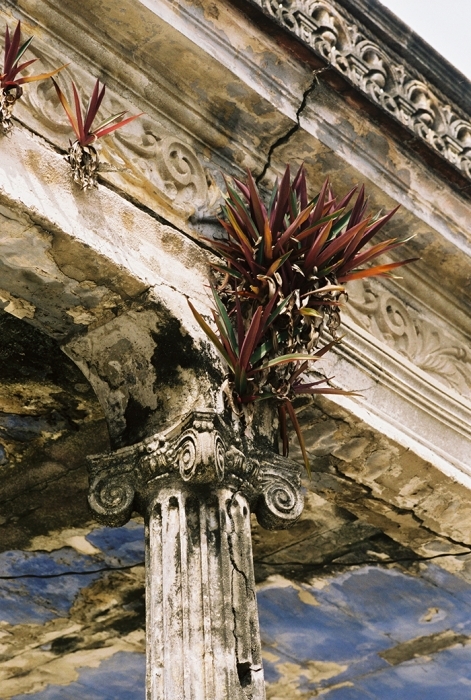 They look more like paintings than real-life. The faded patina of the architecture was my favorite subject to photograph.